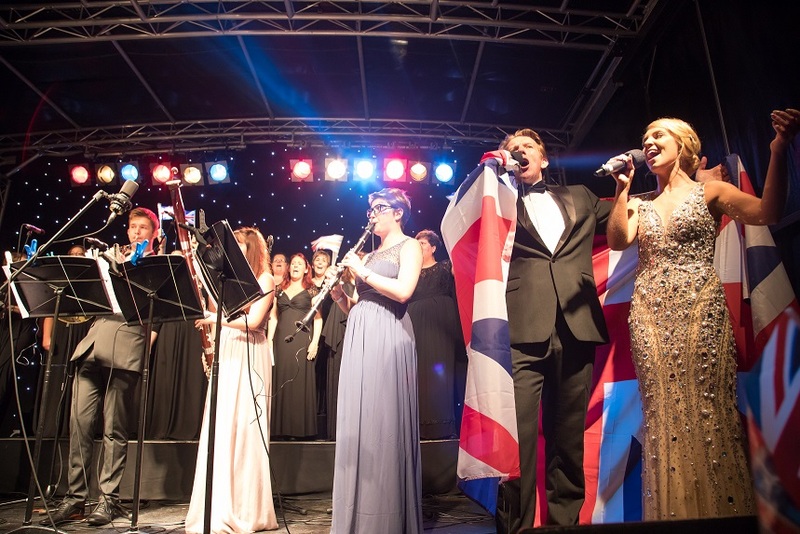 As a leading classical music event in Shropshire, Proms & Prosecco in the Park is well placed to bring a mix of big name performers to the stage, as well as giving a platform to some of Shropshire’s best local talent. One again this year, we have a fabulous line up of artists, performing the most popular classical pieces, mixed with favourites from the musicals, as well as the rousing finale that Last Night of the Proms is well known for. We’ve even got a few contemporary pieces to surprise you! We’re delighted to be giving some of our talented local performers the chance to play in front of a big, friendly crowd once again. This year, the renowned Newport Male Voice Choir will be joining us, as well as A Choired Taste from Market Drayton, who will be accompanied by from several students from Newport’s Adams Grammar School. Headlining this year is British soprano Mary-Jess best known for winning the Chinese version of the ‘X-Factor’ and recording the theme song for Downtown Abbey. Mary-Jess will be joined by tenor Jack Foley who captivated our audience last year and String Infusion, a fabulous all-female string quartet known for their acoustic and electric string performances in a pop/rock/classical crossover style! Linking all of our performers together will be the role of our two hosts; the afternoon will be hosted by popular BBC Radio Shropshire presenter, Paul Shuttleworth and Toastmaster, James Hopkins, who will be adding to the pomp and ceremony of the evening’s proceedings. Added to this entertainment feast, we have a huge array of food stalls and bars including a dedicated Prosecco bar, lots of activities for the children, and as plenty of space for them to stretch their legs in! So, pack the own tables, chairs, blankets, picnic hampers and even candelabras, and settle in for a fabulous afternoon and evening of music, food and fizz. Last year we were amazed to see so many union jack flags, fairy lights, sumptuous picnics, candelabras and lanterns! It really was a sight to behold! Entry is by advance ticket sale only.